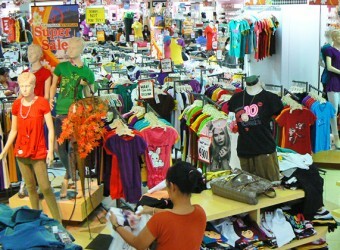 Bali Souvenior Shop Ramayana Mall is one of favorite shopping centers in Denpasar. This shopping center sells household groceries such as clothes, shoes, bags, fashion, daily needs, accessories, beverages, beauty products, food, toys, stationery, etc. Very popular by local people an tourist too.